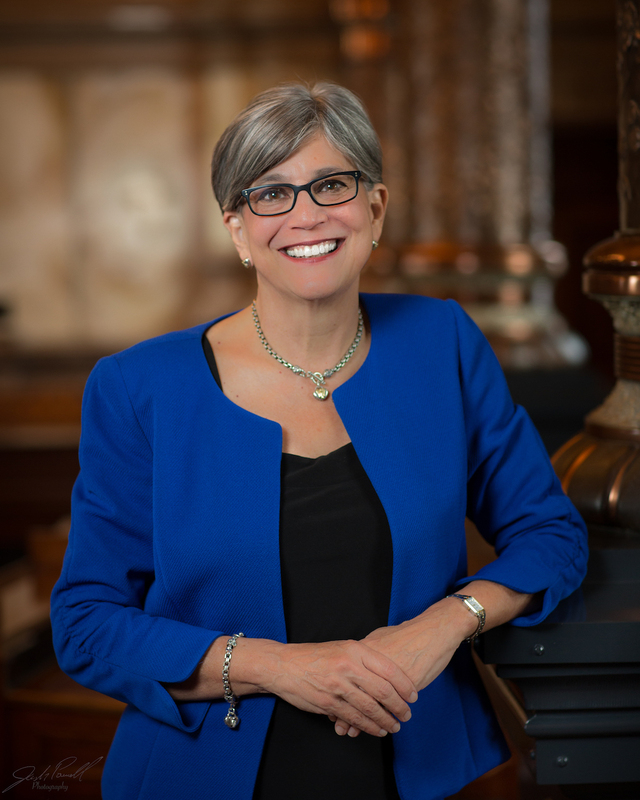 After reports of harassment surfaced in the Kansas Legislature, State Senator Susan Wagle reached out to the Women’s Foundation to evaluate their policies and make recommendations to improve the culture and combat sexual harassment in the Kansas Capitol. Senator Wagle, who was elected President of the Kansas Senate in 2013, talked to us about her experience in public office, the challenges she’s faced, and the leader who inspires her the most. I first ran for public office when the Kansas Legislature changed the way they assessed property which resulted in Kansas taxes nearly doubling on a residency and tripling on commercial property. At the time, I was a small business owner with my husband Tom, and the increase in property taxes hurt us as a family and as business owners. I knew things were going down the wrong path in Topeka, so I thought the only way to make a change was to run for the Kansas House of Representatives. By far, the biggest challenge I’ve faced is a cancer diagnosis. Not only was I diagnosed with cancer during my service in the Legislature, three of my children have battled cancer as well. There is nothing more important to me than family, and helping my youngest son battle childhood leukemia and a relapse while also serving in a citizen legislature required flexibility from colleagues and every family member was engaged in the healing and treatment process. The only way I was able to get through those difficult times was with the support of family and prayer. My advice to those who want to get involved in public service is, do it. If you see something that you believe needs to be changed, then who better than yourself to make that change. We need strong, passionate, and dedicated people in public office. There are always a million excuses not to do something, but all you need is one good reason why. Being able to get up every day and fight for what I believe in has been one of the greatest blessings in my life and I hope any woman or man who has something to fight for, takes that chance. I’m not sure if there is anything that has truly surprised me, but I would have to say the thing that amazes me the most is the variety of people you meet in this career. In public service you meet people from all different walks of life and you learn how decisions made or legislation truly impacts their everyday lives. I first came to Topeka to fight back against high taxes and increased regulations, but now I work to make Kansas a great state for every man, woman, and child. I have met so many amazing people throughout my time in the Legislature, and I hope to make our state a place that they are proud of, where opportunity grows, and families thrive. My favorite thing about serving in my role is the ability to work not only for my constituents but for all Kansans. I have loved raising my family in Kansas and I want to make sure that it is a great place for all our families and future generations. I am a mother of seven, grandmother to 14 with one on the way, I am a small business owner with my husband, and a former teacher. I understand the struggles and the priorities we have as Kansans. I know first hand how we need to make Kansas an affordable and great place to raise a family or start a business. I know how important it is to have first-class public schools and jobs when students graduate. I ran for office to make Kansas a place where my sons and daughters would want to stay and raise a family. I believe that my background as a parent, business owner, educator, and taxpayer allow me to relate to each and every one of my constituents. I serve in my role to ensure that Kansas is constantly growing, thriving, and improving. Have you had a mentor, or someone who inspired you? I have had numerous mentors throughout my career in public service. If I had to choose one person who has inspired me the most, I would say Margaret Thatcher. I have always admired the Iron Lady and believe she is a wonderful role model for women in government. She was unwavering in her convictions during a time where it was rare for women to be in the workforce let alone leading a country. In 2006, I had the great honor to travel to England and present Lady Thatcher with the International Pioneer Award. No matter what your political beliefs are, Lady Thatcher is the epitome of female leadership. She broke through numerous glass ceilings and never lost sight of who she was, and that is why she will forever be the most inspiring leader in my eyes. As a woman, running for public office can be an extremely daunting task. We have so much to balance whether it be family, children, work, homelife, or whatever it may be, putting yourself out there can be very frightening. While it is no easy job, it is one of the most rewarding things I have done in my lifetime after raising my children. If you have a passion or a reason to run for office, don’t let anything get in your way. One thing I have learned in my 28 years in office is that hard work and dedication goes a long way. Our Change-Maker Profiles feature elected officials, civic leaders, and everyday citizens who are working for change in Missouri and Kansas. They do not represent endorsements for candidates for political office or their public policy positions.